You may have seen a habit tracker before and maybe you have already used one in the past. What’s a habit tracker and what do we use it for? A habit tracker is a system designed to help us monitor our habits, especially the good habits that we want to keep in our daily routine. There are several types of habit trackers. There is a daily, a weekly or even a monthly habit tracker. 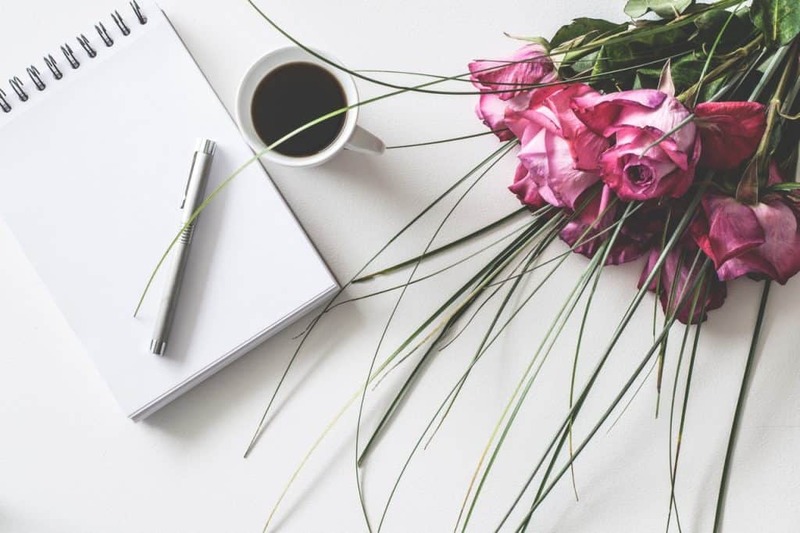 You’ll want to use a habit tracker if your goal is to monitor the daily habits that you have already more or less established, or if you would like some help to introduce new ones. If your goal is to introduce new habits, keep in mind that experts recommend introducing one habit at a time. Only after nine weeks, which is the time necessary to create a new habit, you can then introduce a new one. Habit trackers usually come in a PDF format. Some of them can be modified online and others are designed exclusively for printing. An online habit tracker usually has a PDF format but, apart from having the option to print it, you can modify it online, either from a computer or from a mobile device. Ideally, when you download your file, you should make a copy and save an unmodified version that you’ll use to make more copies in the future. To avoid confusion, you can change the name of the file that you have just copied by using a keyword that makes you recognize the file easily. Once you have your copy ready, place it somewhere where you have easy access to it, for example, on your desktop. 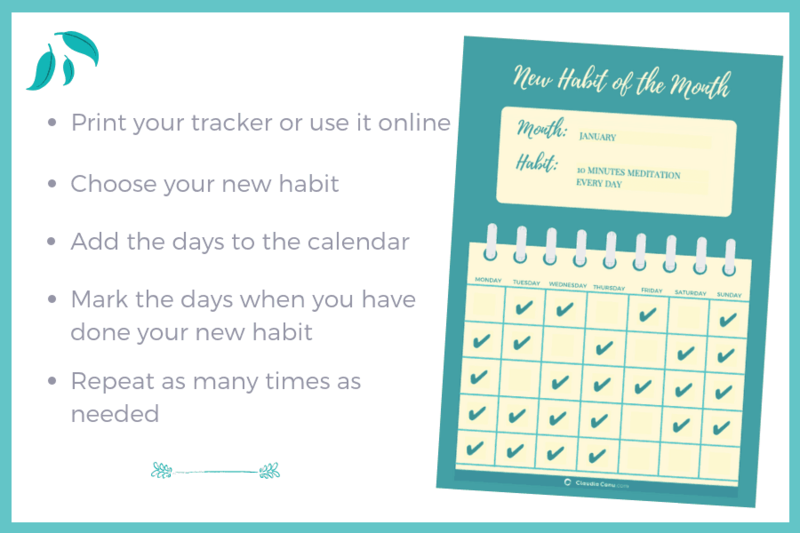 Once you have downloaded this online habit tracker for free, you can create a first copy, which will be modified, and you can change its name by using the month that you’ll be tracking your habit, or the name of the habit that you want to track. For example, if you are going to track the habit of meditating, you can call it meditation, or if you are going to track it during the month of January 2019, you can call it January-2019. Every day, once you have completed your habit, you’ll open the file that you have saved in an easily accessible place, and you’ll click on the box corresponding to the current day. The advantage of using an online habit tracker is that you’ll also have easy access to see the date of the day and you’ll only need to know the day of the week to be able to find the right box. By clicking once, a check mark will appear. If you click again, the check mark will disappear. Every time you add new information to the file, you’ll need to save it so that you won’t lose those changes. Once you are done tracking a month, you can save the file in a folder where you will add all of the other files that you’ll be creating. Repeat the process, making a copy of the original file and following the same instructions again. 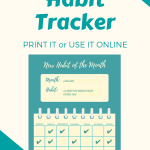 If the habit tracker is not fillable online, once you download it, you will have to print it. In this case, you can use the same copy of your file and print it as many times as you need. Once you have printed your habit tracker, you always keep it at your disposal to remember to use it every day to monitor your habits. Downloading the free habit tracker on this page is very easy. If you haven’t subscribed to the blog yet, at the bottom of this post you will see a box where you can enter your information. Once you click send, another page will open where you can download your file directly. If you are already part of the community, you have already had the opportunity to download the file or you have probably received it by email. If, for some reason, you don’t find that email, don’t hesitate to get back to me and I will be happy to send you a copy. As soon as you download your free copy, I recommend that you save the habit tracker file in an easily accessible place. Once you have the file, you can print your first copy. On the paper, you can write the name of the month during which you will monitor your habit. Once you have chosen the month, you can write down the numbers for the days. For example, let’s say that you want to monitor the habit of meditating for 10 minutes a day during the month of January 2019. On the calendar part, you can add the days in a non-invasive way, so that you have space to mark the same boxes each time you have completed your habit. So, considering that January 1, 2019 falls on a Tuesday, you will write the number one in the second box of the first row, starting from the left-hand side. Once you have targeted the first day of the month, it will be easy to add all of the other days in order, from left to right and one row after another. Once you have your calendar ready, leave it on your bedside table or hang it in a place where you can see it every day. Before going to bed, you will mark the corresponding day, if you have managed to do your 10 minutes of meditation. In case you haven’t complete your habit when you are about to go to bed, you can stop for about 10 minutes to do your meditation and complete it. It’s possible that, at first, you might skip some days, but that’s normal. Some habits may be difficult at first. 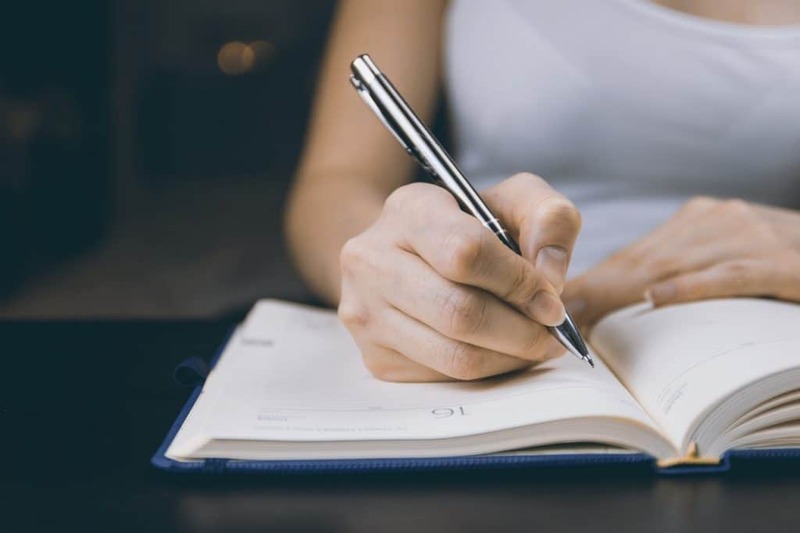 My advice is that you continue anyway and complete the month, so that you can see how many days that you’ve managed to maintain your new habit. The following month, print a fresh copy of your file and start over. 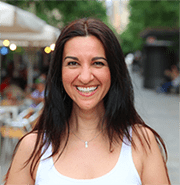 If you need inspiration to find a new, healthy habit to introduce into your daily life, in my post, The Habits That Have Helped Me In My Challenge, I write about the habits that helped me during my journey to my healthy forties. I hope this habit tracker will be useful for you to introduce new healthy habits into your daily life. Don’t hesitate to leave a comment below if you have any questions, or to get in contact with me if you have any problems downloading the free habit tracker. Finally, if you’d like to see more trackers and planners you can visit my Etsy Shop.